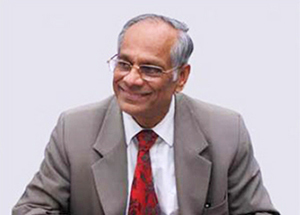 Dr. Gopalakrishna is known for his forethought, high standards and focus on academic excellence. With over five decades of experience in education, Dr. K. P. Gopalakrishna’s mentorship ensures CMRNPS’s high quality and academic rigour. Under his leadership, The International School Bangalore (TISB) has been recognised as one of the top five international schools in the world. The National Public Schools have produced thousands of alumni that are placed at the best universities and organisations. 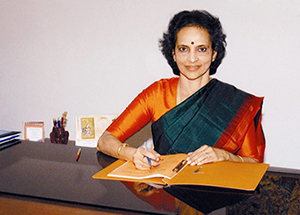 Mrs. Shanthamma Gopalkrishna is an educationist with a purpose. Efficient, experienced and enthusiastic, her constant guidance is invaluable. It enables CMRNPS to maintain high standards at all times. Her calm, patient and reassuring demeanour sets an example for educators everywhere. 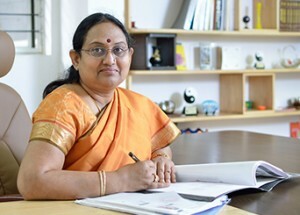 Dr. Sabitha Ramamurthy, inspired by Sri Chikka Muniyappa Reddy’s vision, has made it her mission to impart high quality education to all who enter CMR portals. She is the spirit behind the CMR National Public School and her passion for children and ethical values motivates the institute.